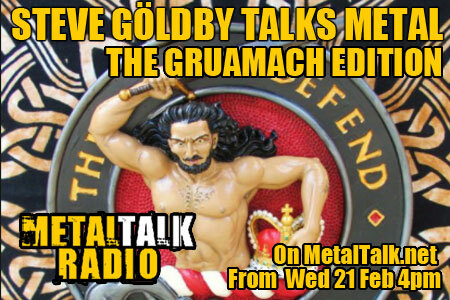 This week's You Spin Me Round show on MetalTalk Radio brings you new albums from Grimner, Salem, Hollywood Undead, plus the new single from Blacktop Mojo, as well as the superb new offering from CoreLeone, which sees current Rainbow singer Ronnie Romero teaming up with Gotthard guitarist and founder Leo Leoni to pay a very personal tribute to Leo's rock'n'roll past. 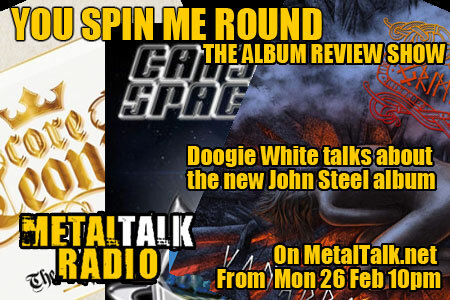 You Spin Me Round is MetalTalk's album review show and in tonight's edition you get to hear tracks from these tremendous new releases for the very first time and enjoy expert commentary on them by the top Metal reviewers around. The 3rd Floor, Minnesota's top rock and Metal show, relaunched for 2018 here on MetalTalk Radio last Friday, 23rd February, and it's an action packed edition full of the top rock and Metal sounds around. The first hour of the BIG PROGRAM features the MetalTalk Round-Up including Judas Priest, Lynch Mob back with Robert Mason and a member of Metallica appearing in a movie. We talk about the recent Of Mice & Men concert as well as the mighty Zakk Wylde and Black Label Society playing the Myth. Part two brings talk about the recent Pop Evil show and presenters Jeff Kunze and Jeff Wilkie wonder how big Palaye Royale could get and whether Anthrax should copy Helloween's 'Pumpkins United' tour and hit the road with Joey and John? The soundtrack for part two touches on Armored Saint, Palaye Royale, Pop Evil, Exodus and the brillaint Ginger Wildheart. The show is available to listen to right here. 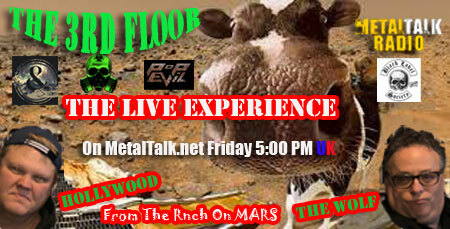 The 3rd Floor is a weekly show and will appear here on MetalTalk every Friday afternoon. There are some real epics from Armored Dawn and North Hammer in last week's Steve Göldby Talks Metal show as well as brand new tracks from Lords Of Iron, 'Northern Steel' and John Steel featuring Doogie White on vocals. Doogie will be special guest on MetalTalk Radio soon as the new Michael Schenker Fest album is due for release the week after next, along with several new offerings from Dissonance Productions, three of which are featured in this show, including the latest from Desolation Angels. The Macc Lads have been completely banned from national radio for their whole existance so to commemorate the news of their reformation last week, we're having twenty pints in celebration. Are The Macc Lads finally being recognised for their musical ability? See how their boozy antics measure up alongside Scardust, the phenomenal new Israeli act who really are not just a band, they're a whole experience. There's a lot to be said about last week's Piratefest which featured Alestorm at The Forum and there's some tremendous Pirate Metal playing on the show, as well as all the usual favourites and many, many surprises.